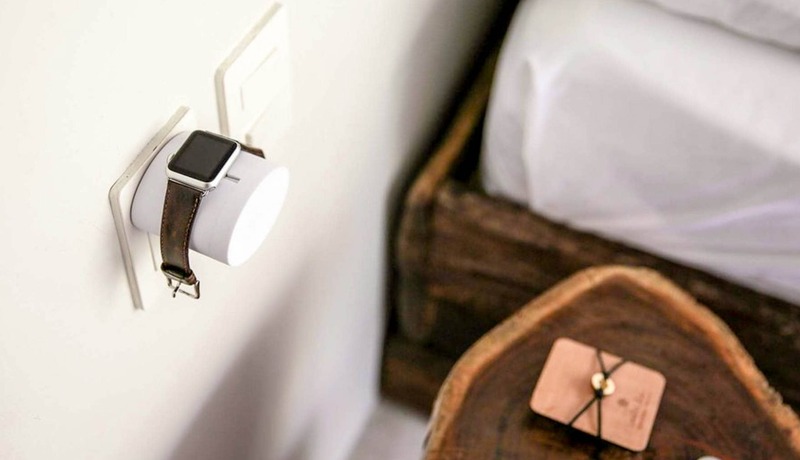 Now your Apple Watch charges right into the wall while mounting for easy retrieval. Our guide starts with an Apple Watch charger that won’t break the bank. At just $19.99, Wiplabs’ Apple Watch Wall Charging Stand sports sleek and simple design with no compromise in quality or functionality. This charger is perfect for travel. It’s compact and no hassle, allowing you to pack a powerful charger anywhere you go. Its unique design allows you to charge your Apple Watch conveniently on any power socket while neatly storing Apple Watch’s cable within the mount’s body. Just plug it into any socket, and you’re ready to go. Plus, Wiplabs’ design ensures air circulation to keep your watch and charger cool while you power up. Encased in an exquisite unibody aluminum disc, HoverDock has a hollow soft-touch plastic body with smart cable storage — adding a slice of minimalist chic to any tabletop. Check out full tech specs in the video above. Finished in high-grade aluminum, with a soft-touch charging pad, AluBase is an iconic wireless iPhone charger that sports space age style. With higher price tags come impressive tech specs and design improvements. 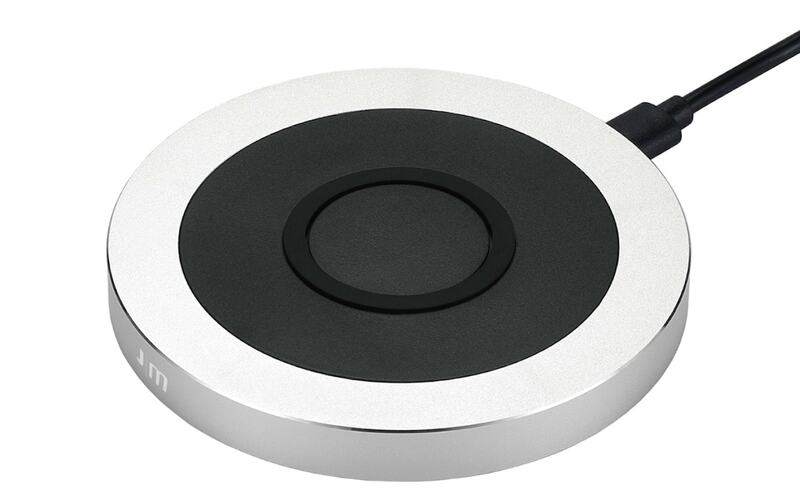 Just Mobile’s AluBase Wireless is a discreet little pad, packed with high-speed power. It’s compatible with all Qi wireless charging devices – including Apple 7.5W and Samsung 10W fast charge – meaning lightning-quick, cable-free power-ups. Just Mobile is known for designing stunningly sleek and minimalist products that excel in both aesthetic and functionality. Plug it into a USB port or optional AC adapter, place your smartphone on top and – voila! – your pocket lifeline to online world is fueling up fast. 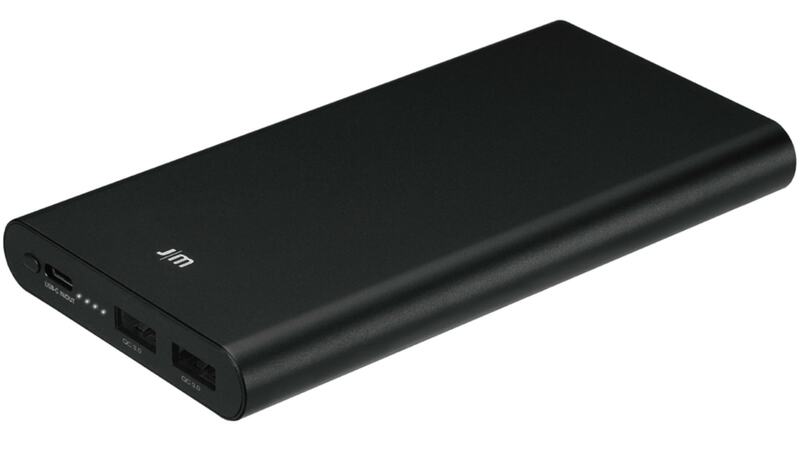 Never run out of power again with the mighty Gum Slim portable charger. Just Mobile hits a home run again in innovation and design. Similar in size to a pack of gum, this compact powerhouse wields enough easy-carry energy to rapidly refuel three smart devices simultaneously. Yeah, you heard that right, and with support for PD and QC protocols, it’ll deliver fast charging to any compatible Apple or Android device. Finished in premium aluminum for a handsome but hard-wearing finish, the Gum Slim features a high-capacity battery with two USB-A ports alongside USB-C. And with a fast-charge input too, your Gum Slim can be filled up and ready to go in next to no time. With everything you need in one space, HiRise Duet is the ultimate charging companion that’s compatible with all your iDevices. 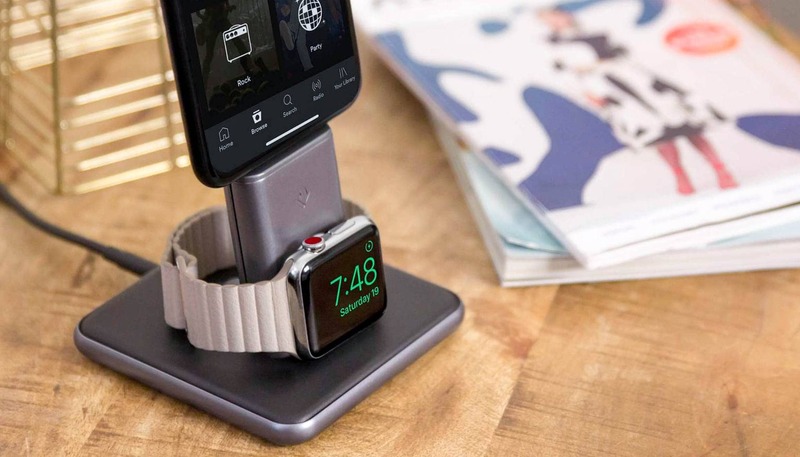 This luxe charging stand powers your iPhone and Apple Watch at the same time, in the same place. And boy does it look good doing it too. 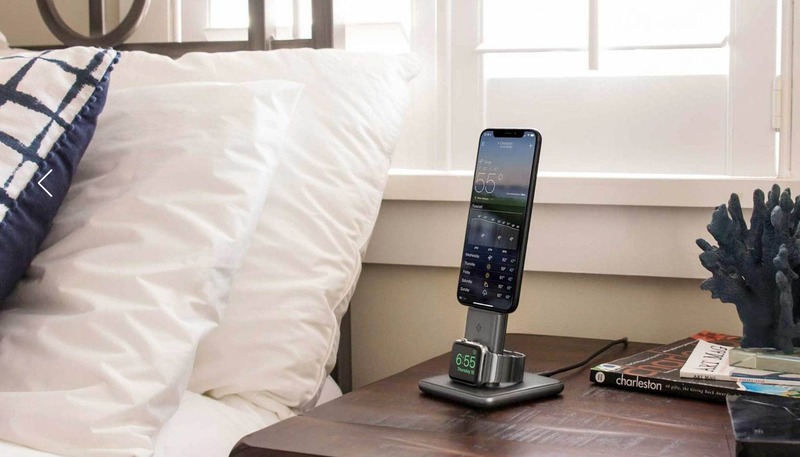 Made from sleek metal and accented with luscious leather, this elegant stand includes its own integrated Lightning Connector and Watch Charging Disk, so you never have to search for cables again. It holds Apple Watch on its side, which automatically turns it into a bedside alarm clock, with the crown serving as a snooze button. To protect your watch, the base of HiRise Duet is thoughtfully lined with a soft layer of premium leather. With 15-watts of Lightning Power, HiRise Duet charges your iPhone 40 percent faster than standard USB, and almost twice as fast as wireless. Duet also holds your iPhone upright so you can see and interact with your iPhone while charging. Unlike plastic stands that get dragged across the nightstand from the weight of the power cord, the all metal HiRise Duet stays put. In the hand, this thing makes me think it was Colonel Mustard in the study with the HiRise Duet. Akin to AirPower, Dual+Watch wireless charger displays and charges multiple devices simultaneously. Last on our list is the closest we’ve got to AirPower with gorgeous design and lightning capabilities. Easily power up three devices using one wireless charger. 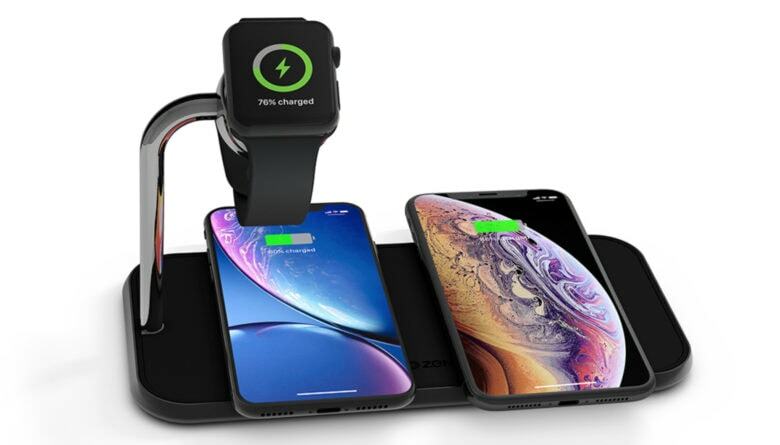 Zen’s Dual+Watch Aluminum Wireless Charger is designed to fast charge two smartphones and an Apple Watch simultaneously. Simply place your smartphones and Apple Watch on the charging pad and charging starts automatically. Truly impressive power and design. The Dual+Watch Aluminum Wireless Charger has an ultra-thin design that is machined out of one piece of high-grade aluminum. Two small LEDs on the front tell you if you devices are charging correctly. Time to streamline your pesky chargers and bedside clutter with the Dual+Watch charger. Check out tons more charging options at our watch store and keep an eye out for future sales and discounts.